Busy construction and roadwork crews know they can count on Cat compactors to deliver industry-leading performance, shift after shift. The benefits of choosing Cat when it's time to expand your fleet are obvious — the legendary company's machines are essential for driving productivity while keeping your operating costs low. 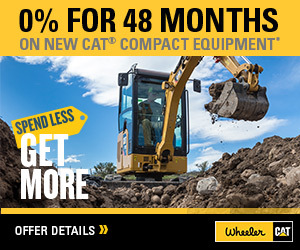 Wheeler Machinery Co. has a large inventory of used Cat compactors for sale. For many organizations, buying used is a smart, economical alternative to buying new — one that lets you take advantage of all the benefits Cat compactors offer, while freeing up capital for other expenses. All used compactors for sale in Utah from Wheeler Machinery Co. are in excellent condition for their age. Many are newer, low-hour units sourced from our rental fleet. As a result, they come with an extensive service history verifying that all preventative maintenance has been performed to the manufacturer's standard. 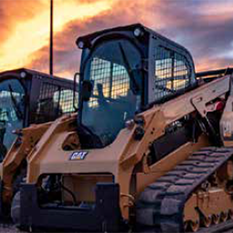 As the only authorized Cat dealer serving Utah, we know the company's machines better than anyone else, and we make sure all used units have been thoroughly inspected and serviced as necessary. That's a measure of confidence you can count on when buying a used Cat compactor or other heavy machine. Why Choose a Cat Compactor? Follow the links on this page to see detailed specifications for individual used units available for sale now. 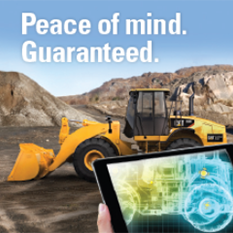 If you can't find what you're looking for online, contact a Wheeler Machinery Co. sales representative directly — as part of the national network of Cat dealers, there's a good chance we can source the right machine for you. Buying a used Cat compactor lets you enjoy all the benefits of Cat machinery at a fraction of the cost. When properly maintained, a Cat compactor can be counted on for years of reliable service. As a result, buying used can often be a better investment than a comparably-priced new machine — you'll save the initial depreciation while still getting a compactor that will deliver world-class performance and command a strong resale value should you choose to sell in the future. There's no better place to buy a used Cat compactor in Salt Lake City, Vernal, St. George and throughout Utah than Wheeler Machinery. Visit our locations page to find a sales representative near you and contact us for more information.